(London), and El Pais (Barcelona). Awards: Critics Award, Deauville Film Festival, Independent Spirit Award for Best First Feature, Silver Leopard, Locarno International Film Festival, and New York Film Critics Circle Award for Best New Director, for Metropolitan , 1990. Agent: John Sloss, Sloss Law Office, 170 Broadway, New York, NY 10010, U.S.A.
Marano, Hara Estroff, interview in Psychology Today , May-June 1998. Lyons, Donald, Independent Visions , New York, 1994. Lyons, Donald, "Places in the Heart," in Film Comment (New York), July/August 1994. Kauffman, Stanley, "Americans Abroad," in The New Republic , 15 August 1994. Miller, Laura, "Celebrated Whit," in Salon , 28 May 1998. Teachout, Terry, "Old Money, Young Love," in Civilization , June-July 1998. Pappas, Ben, "Social Studies," in Forbes , 6 July 1998. The characters populating Whit Stillman's first three films occupy a more-or-less definable epoch at the end of the 20th century. The Last Days of Disco (1998) and Barcelona (1994) are set in the early 1980s; Metropolitan (1990) is set "not so long ago," which would seem to be around the time of the other two pictures. Yet these people might easily have attended the parties, traipsed through the mansions, and jumped into the fountains of F. Scott Fitzgerald's Roaring Twenties. Stillman has often been pegged as an ironist, but his movies are also informed by a rich nostalgia. And although he captures the tone of the 1980s with a keen eye—and especially a sharp ear—his people are also timeless types, their foibles and longings as authentic in the disco era as they would have been in the jazz age. Had Stillman himself been alive in the 1920s, he probably would have known Fitzgerald. His great-grandfather was James Stillman, president of the banking leviathan that would become Citibank. Born to parents who worked in Democratic politics, Whit Stillman grew up partly in a Hudson Valley town, graduated from Harvard in 1973, and worked for a time in New York publishing (an environment that would form the backdrop of The Last Days of Disco ). Having abandoned an early fling at novel-writing, he became involved in the movie business while living in Spain (he married a Barcelonan in 1980), as a sales representative for Spanish films and even as an occasional actor. His specialty was in geeky Americans—his appearances in Spanish movies include playing a character named Mortimer Peabody in Fernando Trueba's Sal Gorda. While managing a design agency in Manhattan in the mid-1980s, Stillman wrote a feature screenplay about a Park Avenue debutante season. Stillman produced Metropolitan on a shoestring (including $50,000 from the sale of his apartment), arranging the film around a series of plainly but smartly shot dialogue scenes. The result was an utterly disarming look at the mating habits of upper-class WASPs, whose self-conscious yet earnest urges are no less poignant for their being born in the "urban haute bourgeoisie." The characters often speak of Jane Austen, even if the central character doesn't actually read novels ("I prefer good literary criticism"), and Stillman's film is evocative of Austen's earned wisdom and blade-edged satire. Most daringly, Stillman brought a wry sympathy to the privileged class at a time when serious film—especially serious independent film—was assumed to be exclusively concerned with problems and issues of ethnicity, feminism, crime, or life in the lower classes. Metropolitan enjoyed a well-deserved round of critical gush, and it returned handsomely on its original investment. 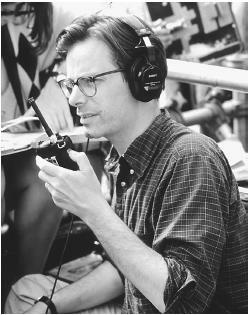 It won Stillman an Oscar nomination for his erudite screenplay; perhaps more importantly it won him a production deal at Castle Rock Pictures, which made his next two films. For Barcelona , Stillman plucked two of the supporting actors from Metropolitan , Chris Eigeman and Taylor Nichols, and built an entire film around them. In "the last decade of the Cold War," two young Americans in Barcelona navigate the dangerous waters of beautiful women and anti-gringo sentiment. A torrent of talk swirls around them, from an ant-farm analogy of America's foreign policy to the proper method of shaving, but Stillman's Barcelona is not a toothless collection of glib ideas; he both satirizes and stands up for Eigeman's defensive patriot, which accounts for the film's sometimes bristling tone. With seamless efficiency, Stillman allows the picture to darken as it goes along, never losing its comic momentum but nicely upping the stakes. The visual portrait of the city was also evocative, but not in a picture-postcard way—critic Donald Lyons observed, "It is not surprising that Stillman, wary of clichés, includes not a single shot of a signature Gaudí building in this valentine to Gaudí's city." And Barcelona confirmed Chris Eigeman as Stillman's chief interpreter: as Marlene Dietrich was to Josef von Sternberg, so Chris Eigeman is to Whit Stillman. The filmmaker does not classify Eigeman as an alter ego: "I love that character he plays in my films, but actually that isn't me. . . . (T)he characters Chris plays would be the older, impressive, funny cousins that I had—people in college who were two years older than me." The wide-eyed, deadpan actor lets Stillman's dialogue roll trippingly off his tongue, thus embodying the special kind of ironical sincerity that the director has perfected. Stillman wrote a role for "a Chris Eigeman type" in his next film, and worried over whom to cast. . . until coming to his senses and simply casting Chris Eigeman. That film was The Last Days of Disco , a character comedy that lived up to its jokey yet vaguely melancholic title. Once again Stillman wrapped the delights of repartee around a solid emotional core, although this time the narrative weight was shifted to the female characters, especially the unlucky innocent played by Chloe Sevigny. Stillman's picture of Manhattan youth waltzing through the Studio 54 scene confirmed his grasp of social groups. "This is something we hunger for in the United States," Stillman has said. "We're living in times that are a bit atomized. When we find those groups, it can really mean a lot to us." The stylization of Stillman's dialogue risks his actors lapsing into wooden recitation, yet within minutes the films find their own rhythm and tone. The loose trilogy makes Stillman look like a Preston Sturges of the Reagan years, though admittedly less antic. Working at a deliberate pace, Stillman makes a film every four years, and after Disco planned to break away from his favored milieu and create a completely different kind of film—which means the UHB, the Urban Haute Bourgeoisie, may never again find as eloquent a voice.